Start spreading the news! There will be a new stage at the Hooley on the Hudson for 2015. 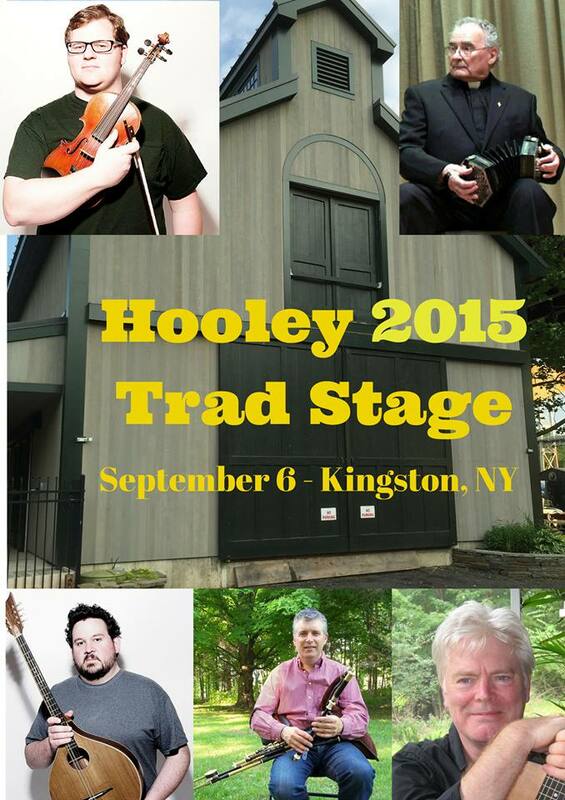 We are excited to announce, for the first time in Hooley history, the TRAD STAGE! There will be a combination of spoken word, and traditional Irish music. The Trad Stage is located in the Maritime Museum Education Center, “The Barn”. Starting at 12 noon, there will be readings by storyteller laureate Karen Pillsworth, and then a poetry performance by Word Salad. Music then begins at 3pm with Ulster County (NY) native All-Ireland Fiddle Champion Dylan Foley, acoustic guitarist & bouzouki player Sean Earnest, uilleann piper Liam O’Neill, guitarist Ian Warpole…and the iconic, Monsignor “Father Charlie” Coen!! This will be an amazing and intimate afternoon of storytelling and traditional Irish music, so come be a part of history!